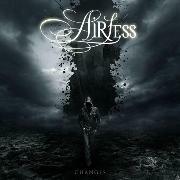 Spanish melodic hard rock act AIRLESS release their fourth album, and third on Lion Music, since 2002. It´s been five years since “Fight”, but the rock hasn´t stop, neither has the melodies or the voice of Inaki Lazakano given up. A guest on keyboards, Diego Rois, seems a welcome addition, and furthermore Danny Vaughn of TYKETTO fame guests on the title track. For being a Lion Music band there are preciously little in the vein of guitar extravaganzas etc. Instead we get a lot of melodic rock, hard rock or even AOR. The keyboards do a lot in recreating the world conquering sound of the US AOR giants of the late seventies early eighties. The bands ability to write caressing refrains add to that. The flatter moments are surprisingly enough the title track, which never really tales off, and the somewhat heavier “Dead Inside”. But as soon as the Spaniards stick to their guns the produce songs like the JOURNEY inspired full hit “Till the End of Time” and the somewhat speedier exquisite ending song “Latest Prophecy”. In between we get a socially conscientious song like “Gone too Far”, the softly opened but more edgy continuation of Come Back Home” etc. Most of the songs are 4/5 material, so that is the final verdict!